Catch the friendship bracelet craze! Also great for needlecrafts. 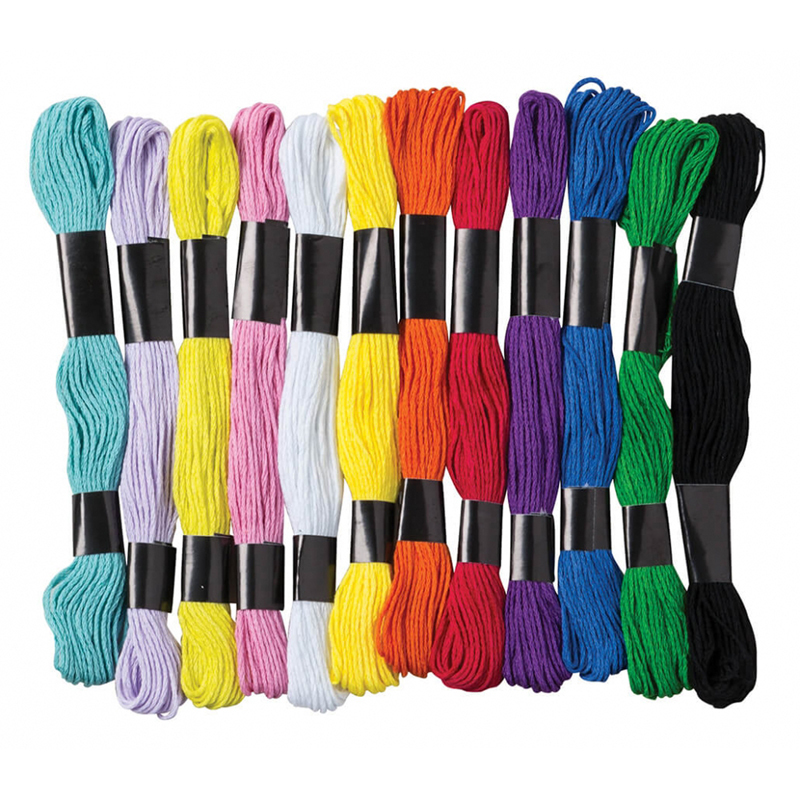 Vibrant, non-toxic colored thread in 12 assorted colors. Set includes 24 skeins total. Each skein is over 8 yards long! 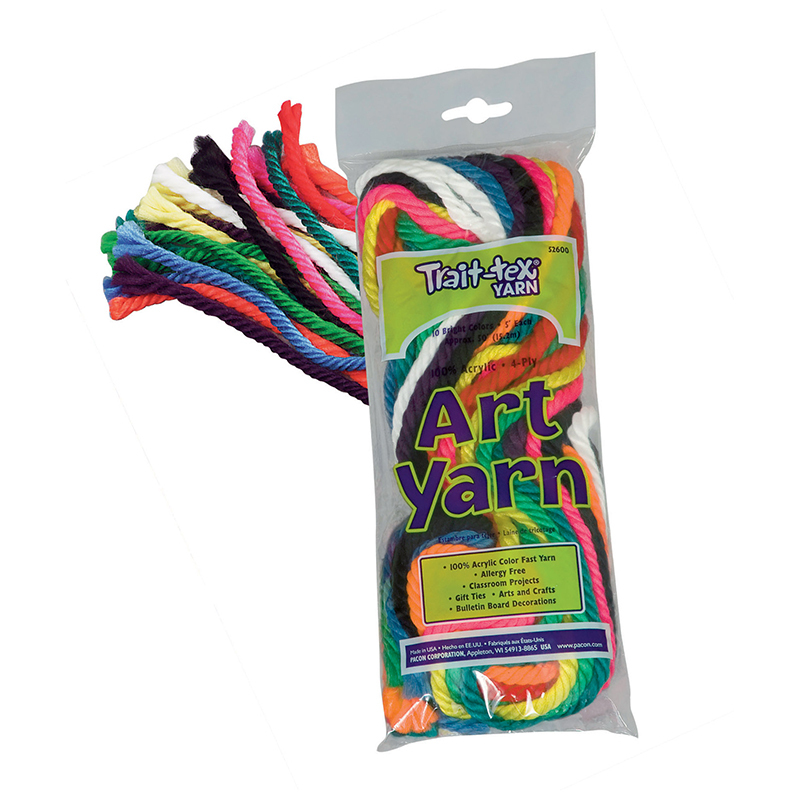 The Embroidery Thread 12 Assrtd Colors can be found in our Yarn product category within the Arts & Crafts. 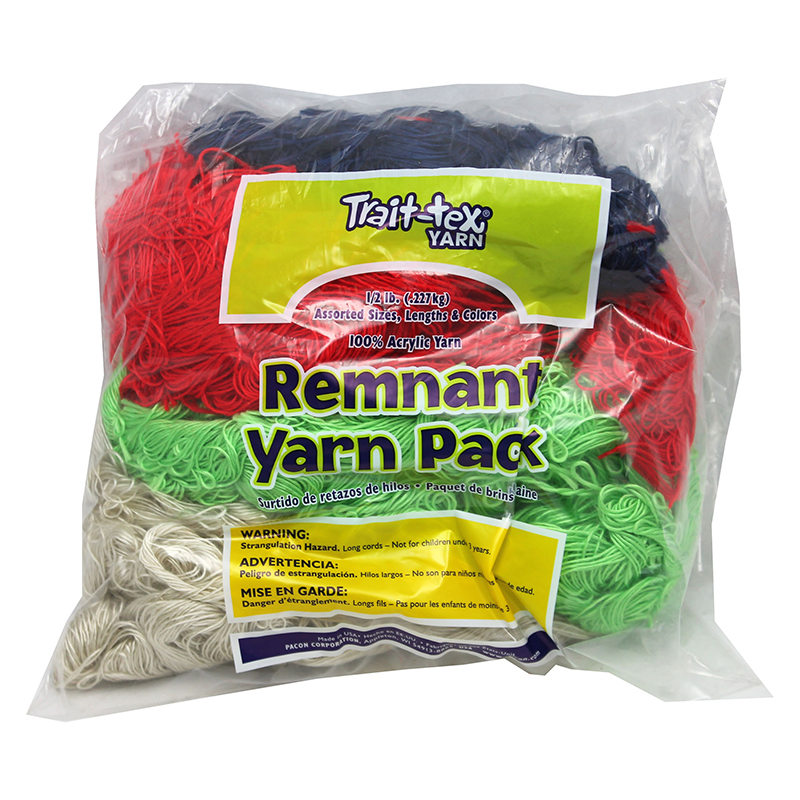 Extra-thick 100% acrylic yarn in pre-cut 5' lengths is perfect for gift ties, bulletin board trims, craft projects, and even hair ribbons. 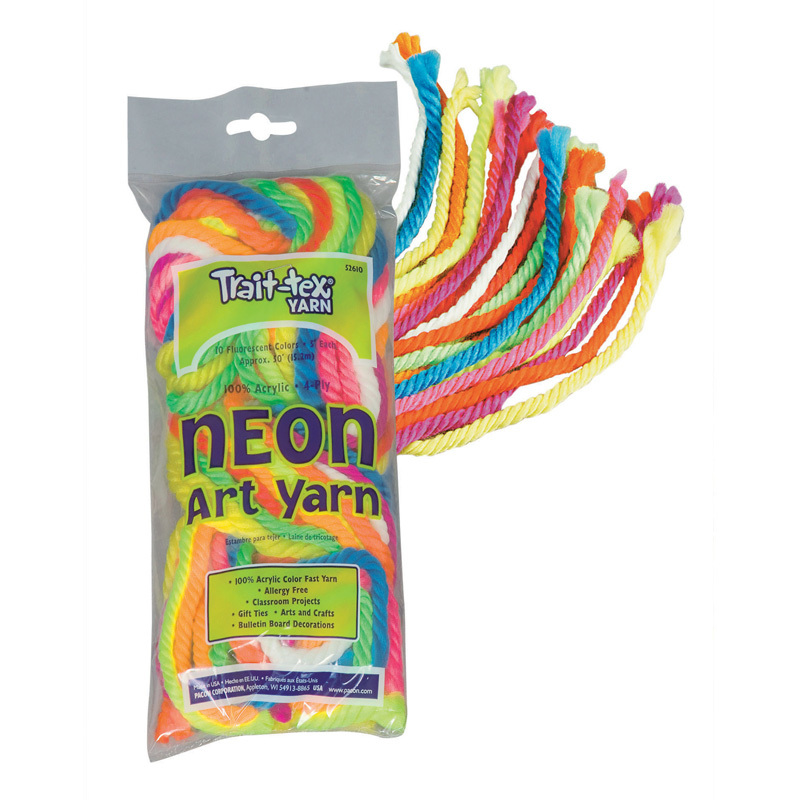 Includes nine fluorescent colors, plus white. Includes 50' total. 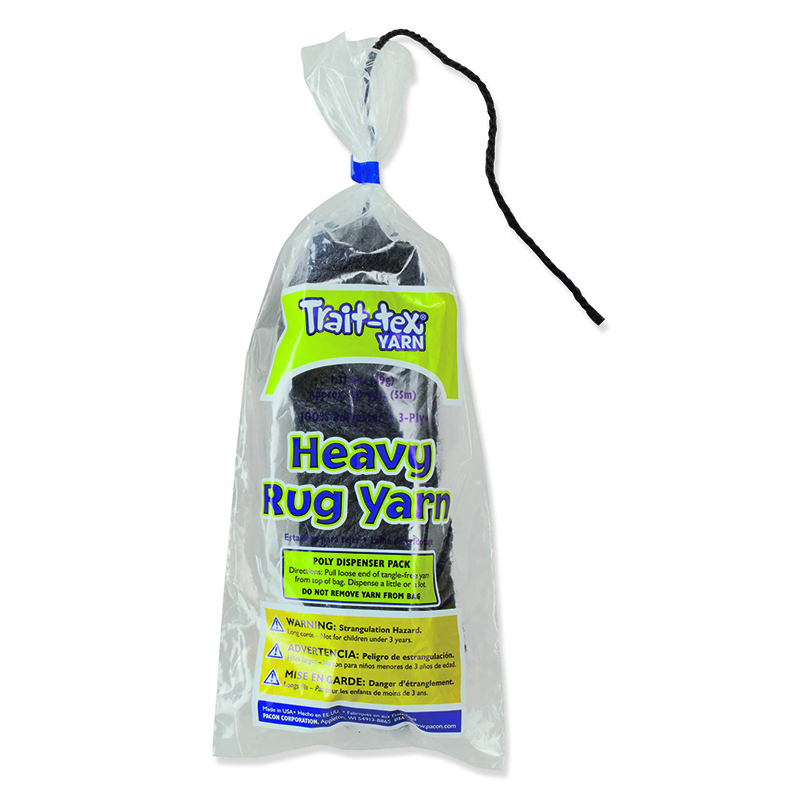 Heavy Rug Yarn is 3-ply, 100% polyester non-allergenic fiber, wound into 1.37 oz. (60 yard) pull skeins and packed into poly-bags. The yarn pulls easily from the center of the skein without tangling.